. I am much more of a practical soul than Emma and I want products to do the work for me! And hers do not disappoint! It is not a huge range of products but small and perfectly formed! 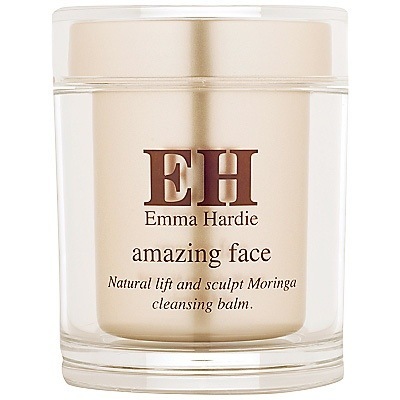 The Moringa Cleansing Balm is one of the best smelling and working products out there, you use the Natural Lift and Sculpt Dual Action professional Cleansing Cloths with the balm which will exfoliate your skin but on a weekly or maybe even twice a week you can use the Aromatherapy infused rosehip exfoliating seeds, which you add to the balm to give your skin an exfoliating boost! These products are such a pleasure to use, leaving your skin smelling and feeling Amazing! It’s one of those products that last and last and last! It’s well worth it!